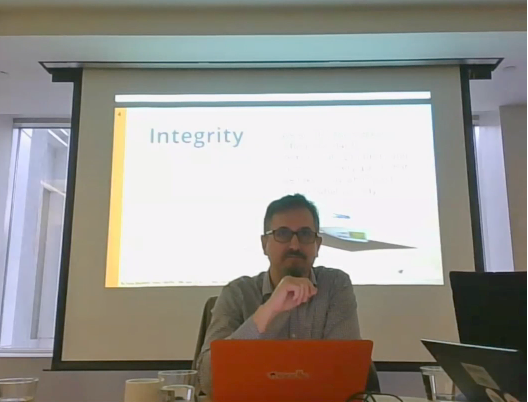 White House Business Solutions P Ltd participated in the webinar “A conversation with Martin Dougiamas, the founder of Moodle” Moderated by Sheila Jagannathan, Head, Open Learning Campus, World Bank. The webinar covered the topics of Where is online learning headed? What are the prospects for the ‘next generation’ of online learning platforms, applications and communities, and how can they be used to provide expanded and enhanced opportunities for learning and skills development for the next generation of learners?. WHBS being a Moodle solutions and service provider from the year 2008 with The World Bank Group for their capacity development programs, felt immensely pride to participate in this webinar. It was productive to know the insights from the founder himself and to get knowledge and prospects of the next generation of online platforms. TVS credits, Chola investment and finance, Digiscape gallery, NIMI, Shriram Capital are some of our Chennai clients which we have successfully implemented customized moodle solutions and services.